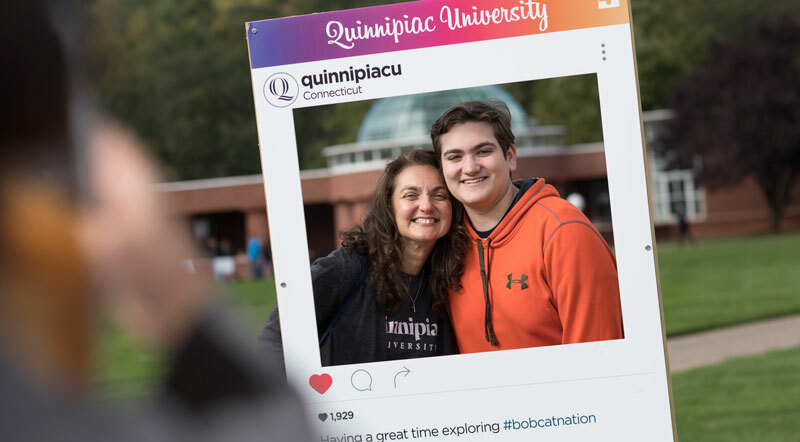 Working at Quinnipiac means you’ll be part of a welcoming and supportive community. 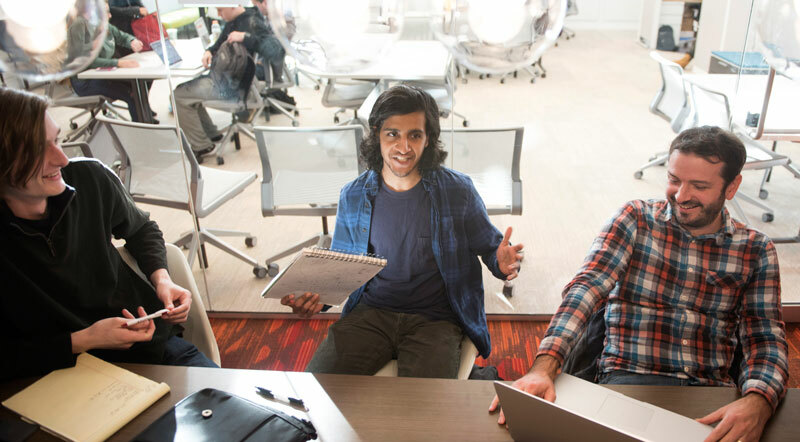 You’ll be challenged and supported to succeed — both professionally and personally. 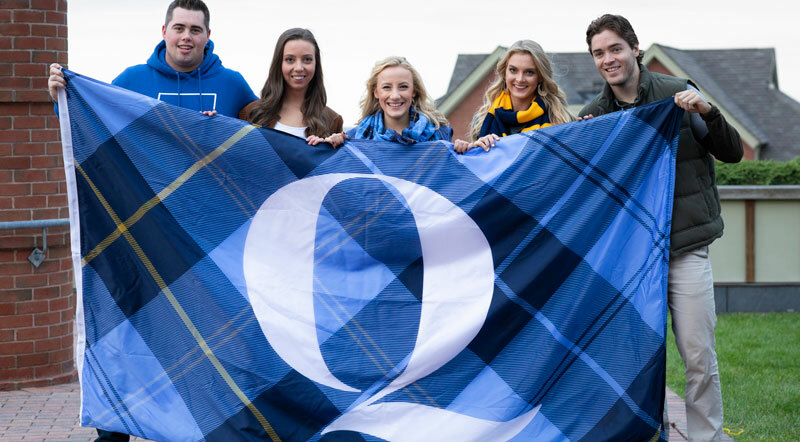 There are countless opportunities in which to get involved at Quinnipiac. As a member of our faculty or staff, you will be a vital member of the university community. 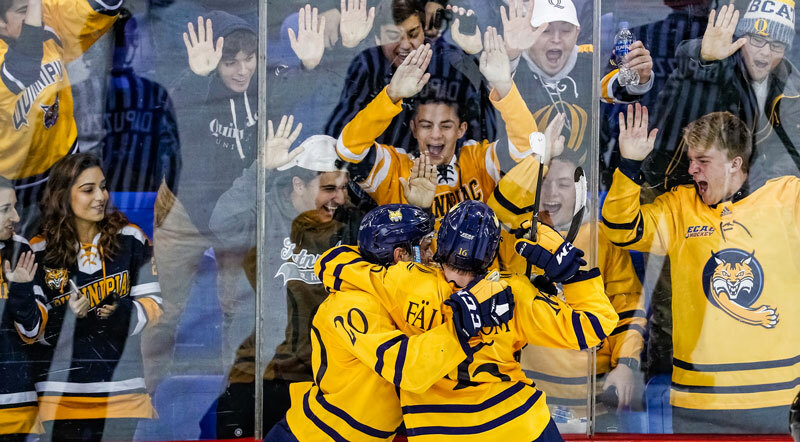 Lace up your skates and take the ice at our TD Bank Sports Center for a season of heart-pounding intramural ice hockey. Roll up your sleeves and perform community service with your colleagues and students as part of The Big Event. Or learn how to live a healthier lifestyle at one of our monthy health and wellness events. Attend a conversation with a Nobel Laureate, participate in a Pilates class or learn a foreign language. Regardless of your choice, you will be supported by a dedicated and professional community. 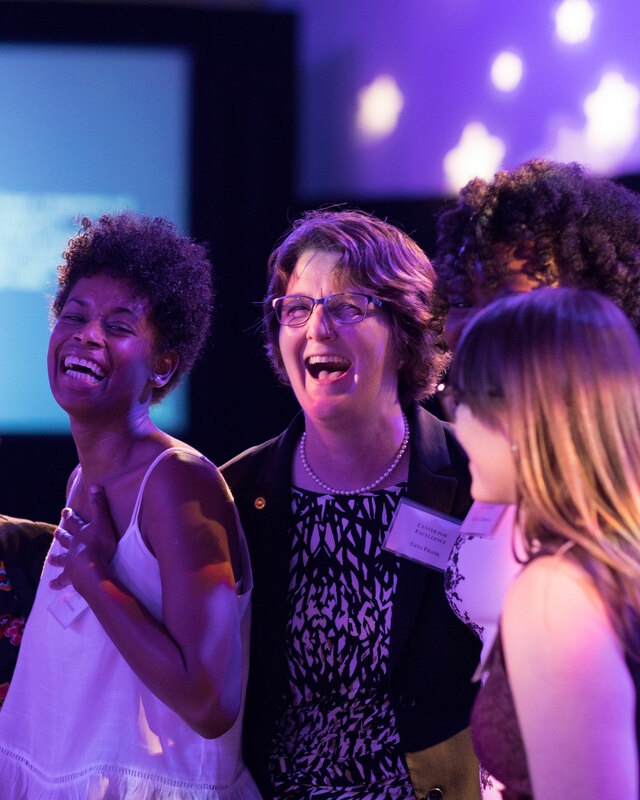 Members of the university community celebrate the achievements of their peers each year at our Center for Excellence in Teaching and Service to Students. Gina Frank, center, is an award recipient. Your career is about more than your job. It’s about meeting new people with diverse experiences and perspectives. You’ll be part of a community that celebrates unique backgrounds, beliefs and identities. 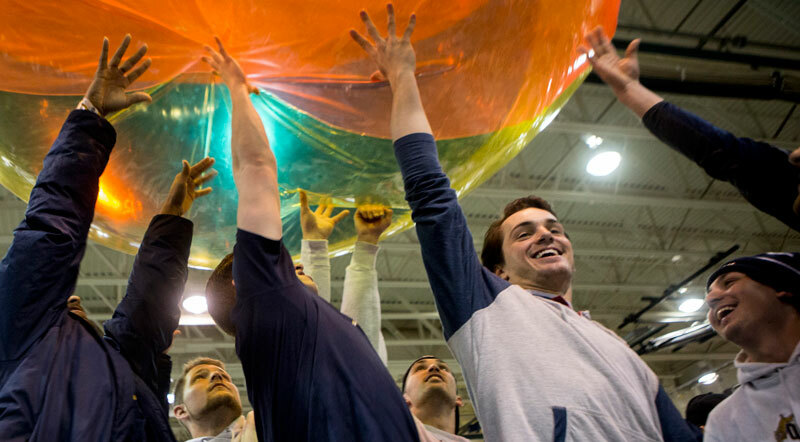 Students, faculty and staff of various backgrounds come together to develop a more dynamic and inclusive community. Engineering faculty take on students in the third annual soccer game on the York Hill Campus. 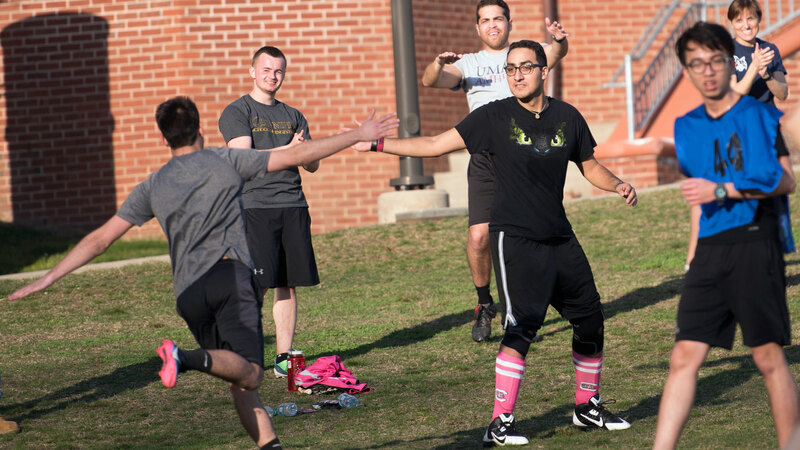 Here, Assistant Professor of Civil Engineering Angel Ari Perez high-fives a student on the sidelines. 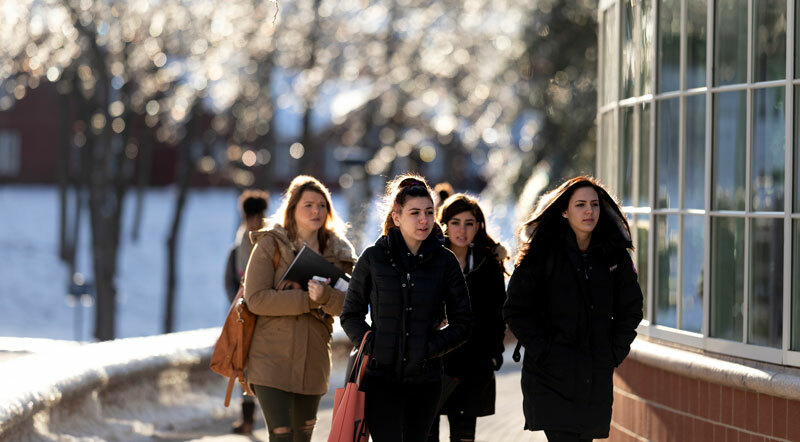 Quinnipiac is a great college to work for, according to a new survey by The Chronicle of Higher Education. For 50 years, the palm trees in Larson, Perlroth and Troup halls have been one of Quinnipiac’s most curious and exotic botanical treasures — thanks to a team of dedicated facilities workers. Professor Dwayne Boucaud's focus is his students, and his concern for them extends beyond the classroom. 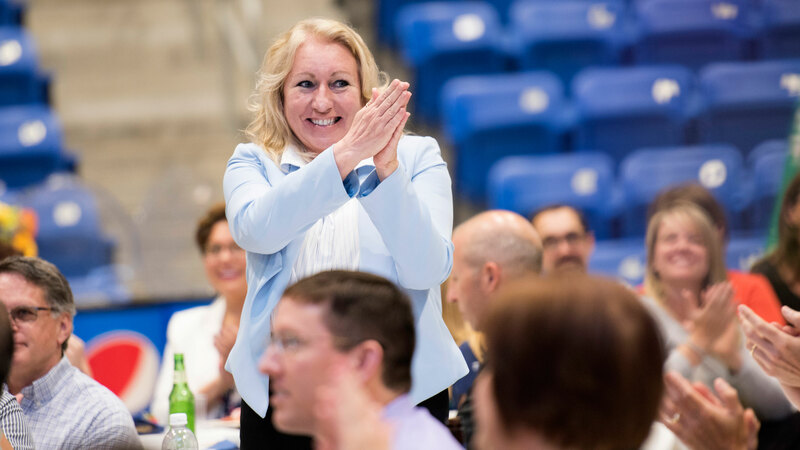 The university is honoring 6 outstanding faculty and staff members this fall for their extraordinary service to our students. The Quinnipiac Poll was the most accurate when surveying ahead of this year's New Jersey and Virginia gubernatorial elections. Antoaneta Vanc never imagined that education would be her vocation. The Mount Carmel Campus, pictured above, is one of our three campuses located in Hamden and North Haven. Our beautiful environment and state-of-the-art facilities will inspire you every day. Across our 3 campuses, you will meet other members of our dedicated and caring faculty and staff. You may interact with students, and have an impact on their learning. 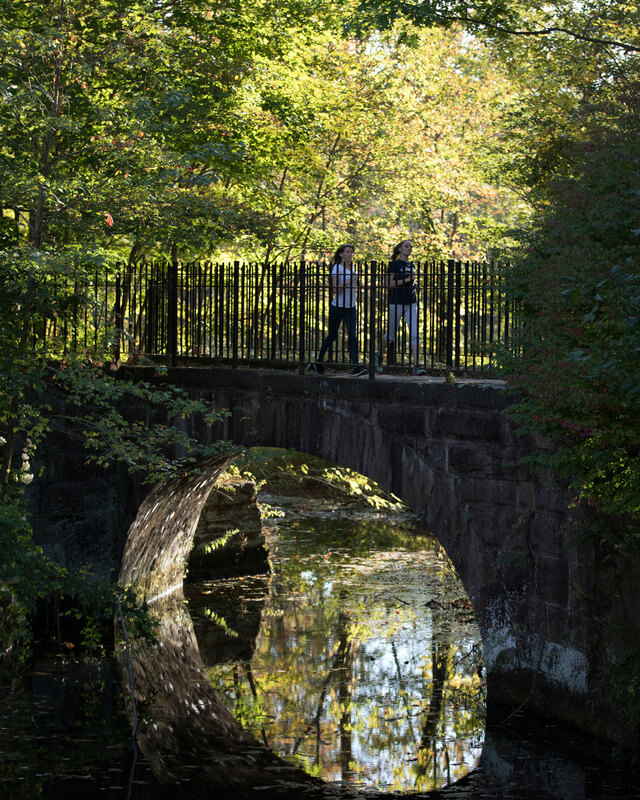 You'll get to work in our state-of-the-art buildings, and walk around the picturesque grounds, witnessing up close the beauty and charm of southern New England. Each of our campuses has been purposely designed to deliver the quintessential student experience. 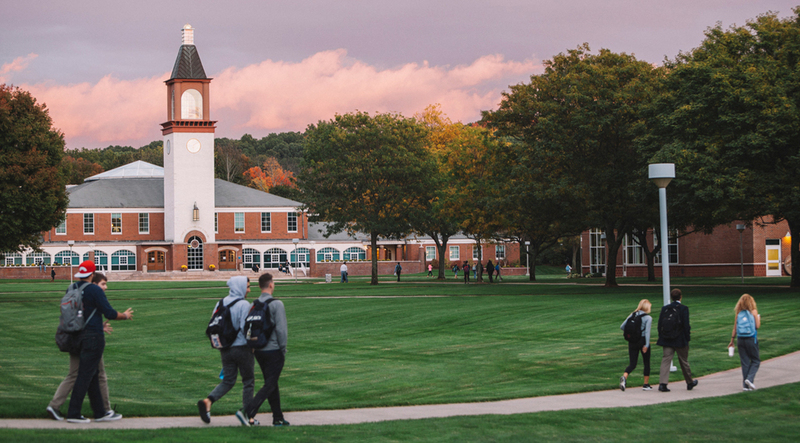 The Mount Carmel Campus is home to many of our academic buildings, a student center, a recreation and fields, and first- and second-year student residence halls. 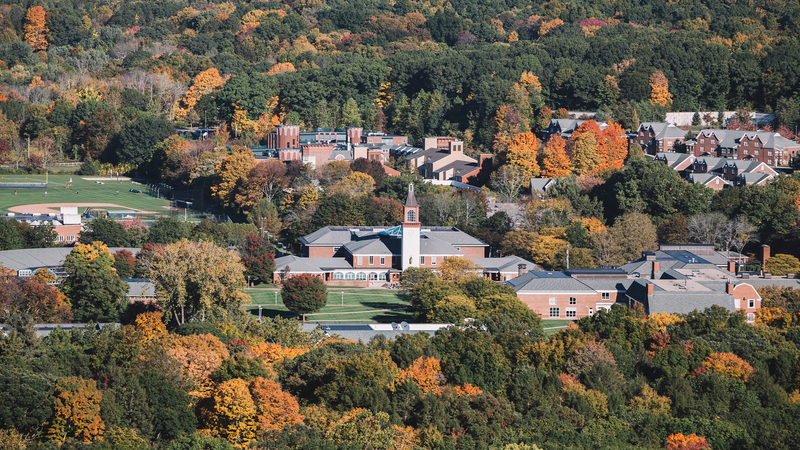 The York Hill Campus offers idyllic views of the area, a student center, residence halls and the TD Bank Sports Center, home of the ice hockey and basketball teams. 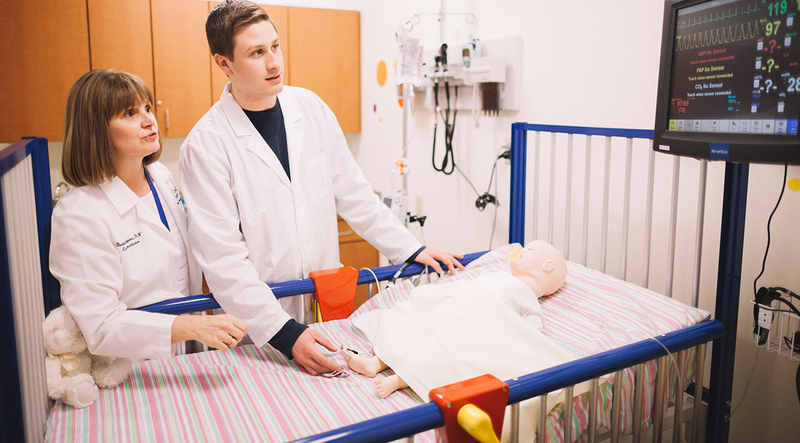 The North Haven Campus, located just 10 minutes from the Hamden campuses, is the heart of study for the Schools of Education, Health Sciences, Law, Medicine and Nursing, with state-of-the-art facilities, equipment and environments purposely designed for collaborative learning. 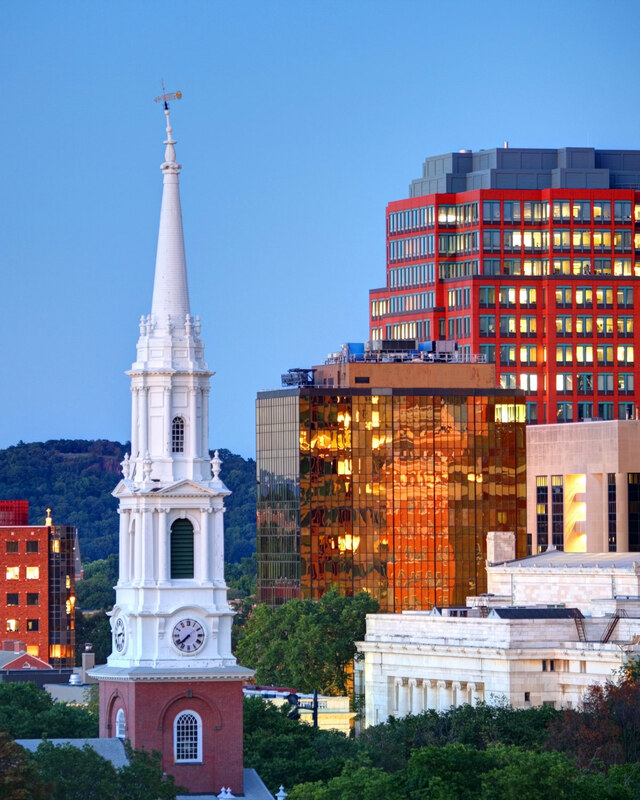 Our southern New England location offers the charm and tradition of the region, with easy access to the culture and lifestyle of some of America‘s most interesting and vibrant cities. Live the New England lifestyle by exploring the many local hiking and biking trails, visiting nearby seaside towns or apple picking at a local orchard. Just across the street from the Mount Carmel Campus is Sleeping Giant State Park, perfect for every ability level. For a change of pace, we are located only 15 minutes from New Haven, where you will find a city bursting with energy and culture. Or jump on a train headed to New York City or Boston, which are both under 2 hours away. Our 3 campuses are situated around several outdoor walking, hiking and biking trails, as well as state and town parks. Tami Reilly, associate athletic director for fitness and wellness, talks with students, faculty and staff participating in a hike up Sleeping Giant State Park. Participants begin at the foot of the scenic trails with a moment of guided meditation. When they reach the peak after the hike, the group practices guided yoga. 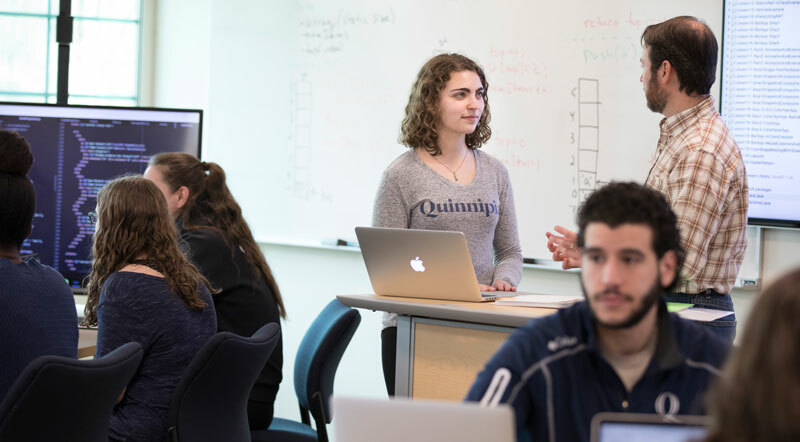 Living Well is a university-wide initiative to provide Quinnipiac University faculty and staff with tools, resources and support to achieve their own wellness goals. The Living Well team is dedicated to educating, motivating and empowering individuals to make healthy lifestyle choices by offering a variety of on-campus wellness events, and maintaining a health and wellness website with health tips and resources for everyday use, including links for fitness classes (free for all faculty and staff), healthy recipes and other helpful resources. Our campuses are also tobacco-free to promote the health and well-being of our students, faculty, staff and visitors. Employee wellness is an important part of our culture here. In fact, our dedication to a healthy workforce was recently awarded the top recognition by The Business Council of Fairfield County for our understanding of the competitive advantage of a healthy workforce and for offering a diverse range of programs to promote a healthy workplace and assist our employees to live healthier lives. An employee takes advantage of a free chair massage during the university annual Benefits, Health and Wellness Fair. The Human Resources team advises employees about their benefits coverage and assists them with open enrollment. In addition, employees can enjoy activities such as gong therapy, chair massages, giveaways and raffles. Angela Bird, Jennifer Mead and Dana White check on the breakfast egg cups and granola they made during the Upgrading your Breakfast event. 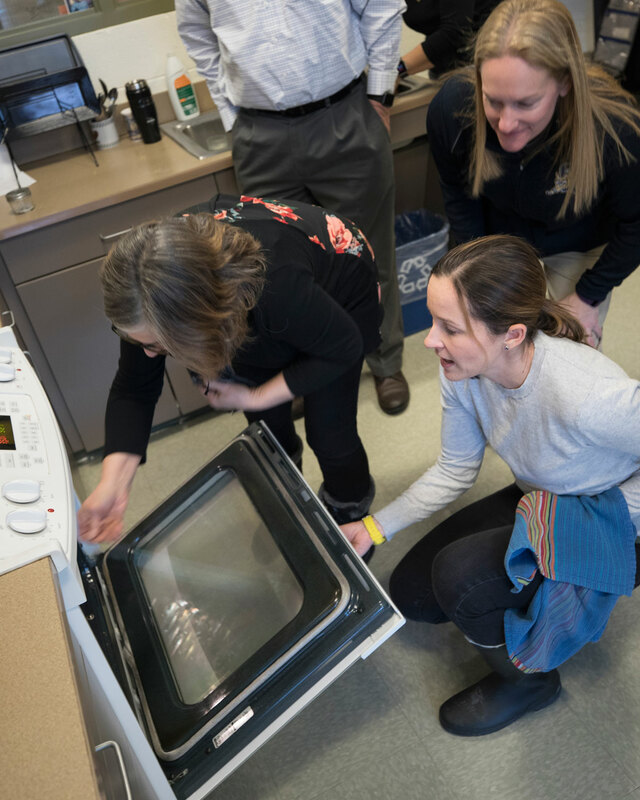 The wellness event walked employees through making and sampling three fast, healthy and satisfying breakfast options.